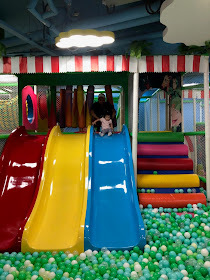 Myla has been asking to go to an indoor playgroud for a long while now (she saw kids at some indoor playground on a youtube video and pointed it out to us). I used to take her to a few different indoor playgrounds when she was around 1yo and learning to walk because I liked that it had padded floors. 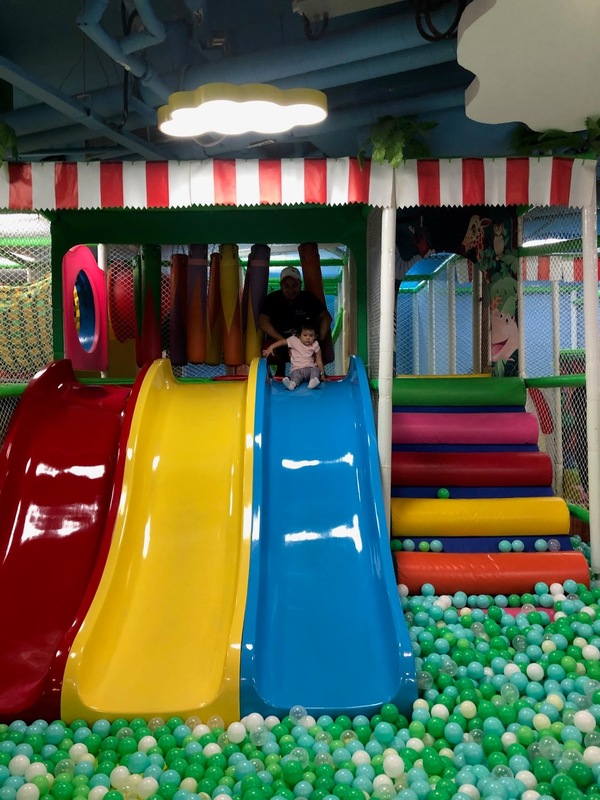 But then as she grew a bit older, we stopped going, and also she has her own awesome playroom now so we don't really go looking for play gyms and stuff. Finally, we took her to one that was closest to us. Sunshine Childhood Playland at North Point City. It's the smallest indoor playgound I've taken her too. But she didn't seem to notice, I guess to her it was still huge and exciting. 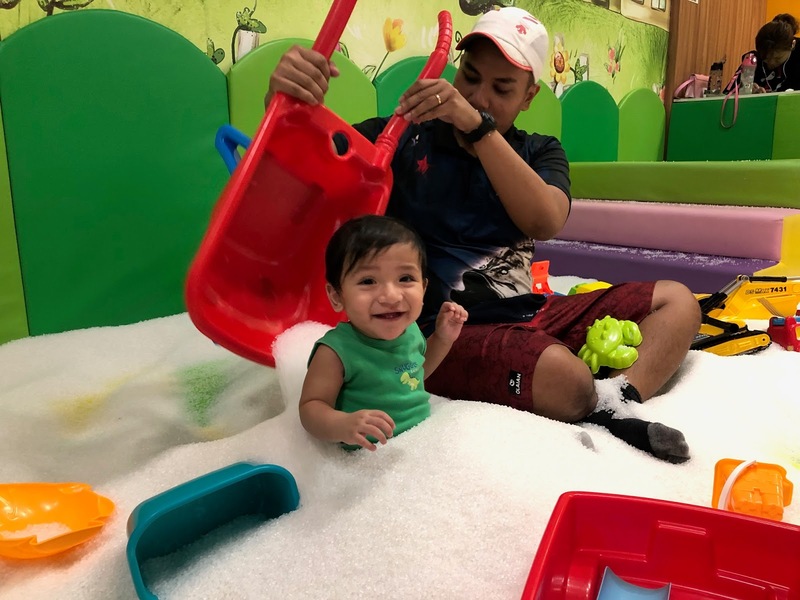 For toddlers, it's $10 on weekdays, and $12 for weekends, and one accompanying adult goes in free. It's also free for babies (less than 12mths) but for the accompanying adult it is $5. We went on a Sunday, and paid $17. 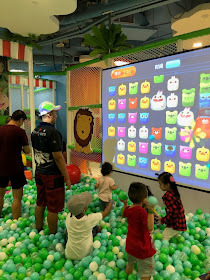 For kids (they do accept kids up to 12yo) it's a bit more expensive (I don't remember how much) but I don't think this place is suitable for older than toddler age... it would be very boring, kiddy and small for them. There are 3 large slides, some climbing elements, and tunnels. 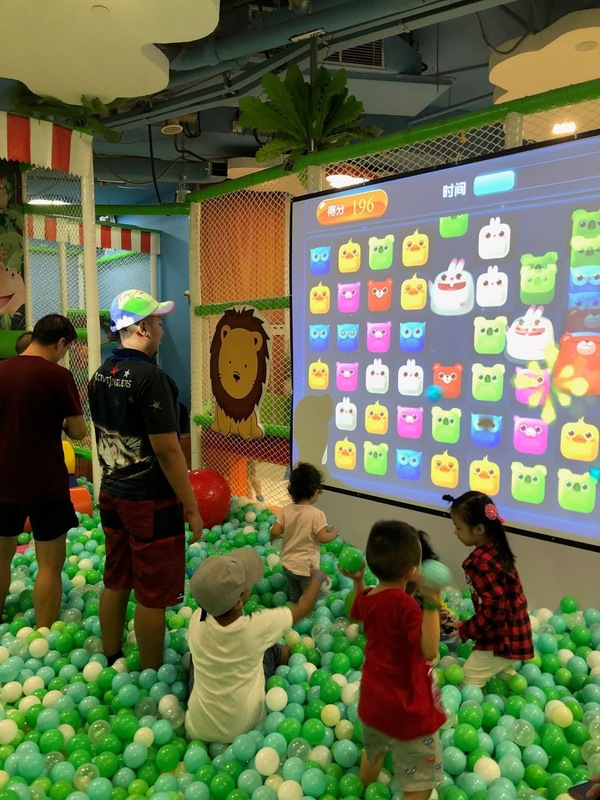 The ball pit is large but very shallow. OK for babies and toddlers but yeah for kids above maybe 4yo, it would be crappy. Then there's one large section with tables with some legos on them, we didn't go there because boring. Another section with little "houses" and lots of toys like for role playing- supermarket, doctors etc. 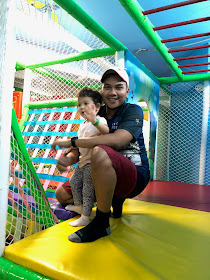 Quite fun, and Myla enjoyed that but I forgot to take pic. It was a bit messy and chaotic at this section with the weekend crowd. There are also some toy cars for them to sit on and scoot about. Their sandpit, was filled with like a white silicon material. Looks like snow. It's clean, and not too busy. Mostly toddlers in there. MJ enjoyed it too. But we had to watch him like a hawk cos he likes to put everything in his mouth. That's really about it. Not much else there. But for that price, and the proximity to home, yeah I would take her back there. For as long as she still enjoys it. 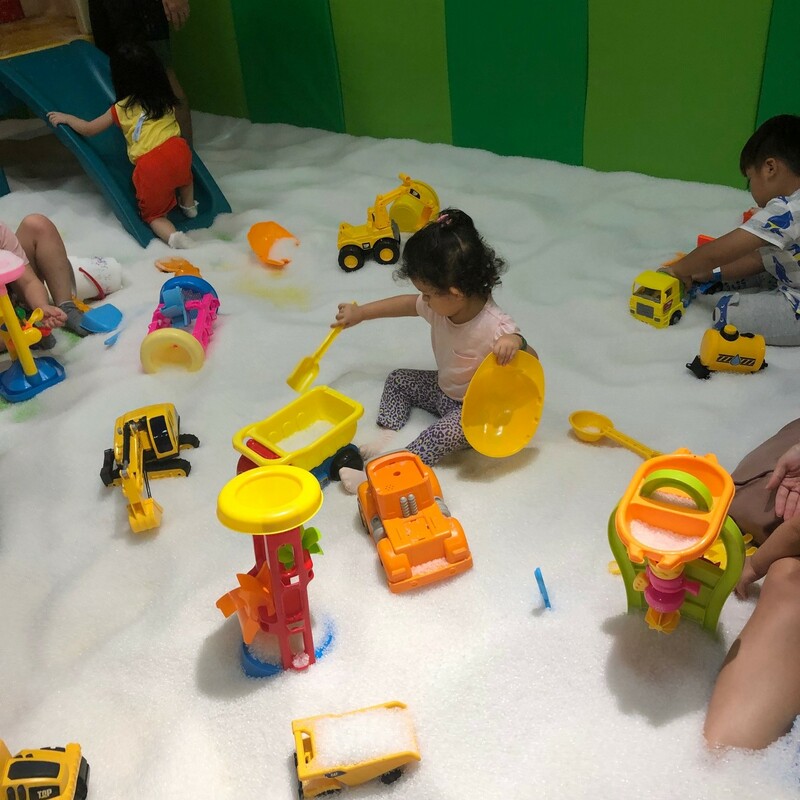 We want to explore other indoor playgrounds too. Any recommendations?